Uber Technologies Inc. and its bankers will hit the road this month with one big name on their lips as they try to entice investors with favorable comparisons to businesses that it seeks to imitate or surpass. That name is Amazon.com Inc.
Amazon was a money-losing internet bookseller attacking the brick-and-mortar fortress of Barnes & Noble Inc. at the dawn of e-commerce when it raised $54 million in its 1997 initial public offering. Its ascent to world’s biggest online retailer -- the everything store -- is seen as a model by Uber as it pivots from its maturing but still unprofitable ride-hailing operation to position itself as a global transportation platform. Uber wants to convince investors that it’s a transportation and logistics market-maker that can build -- and then supply -- new demand for everything from scooters and bicycles to freight and food delivery, said people familiar with its plans who asked not to be identified because they’re private. The investor pitch will dwell on the unrealized opportunity ahead, with Uber casting itself as a nascent transportation provider just barely scratching the surface of a multi-trillion-dollar market, according to the people. 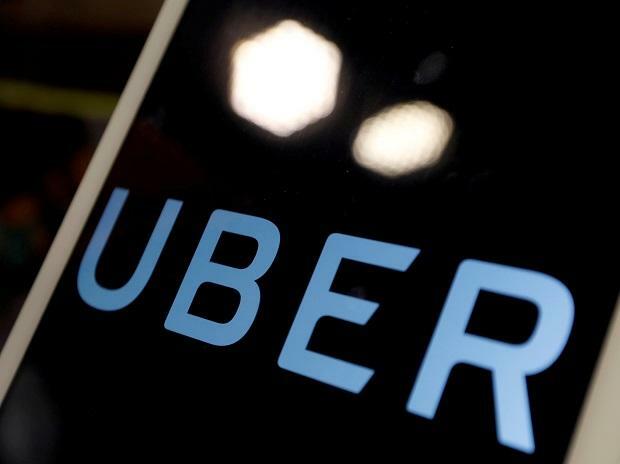 While Uber may have a 65 percent share of the ride-hailing market in the U.S., Canada, Latin America, Europe, Australia and New Zealand, the company said in its IPO filing Thursday that its share of the entire global transportation market is less than 1 per cent. Uber’s long-awaited roadshow for what is expected to be 2019’s biggest U.S. IPO is expected to kick off on April 26, the people said. The San Francisco-based company is seeking to raise about $10 billion and to be valued at about $100 billion, people familiar with the matter have said. Uber, the world’s largest ride-hailing company, is working with underwriters including Morgan Stanley, Goldman Sachs Group Inc. and Bank of America Corp. to craft its pitch. The presentations will feature comparisons to China-based e-commerce kingpins Alibaba Group Holding Ltd. and Tencent Holdings Ltd., in addition to Amazon, said a person familiar with the situation. Smaller food-delivery and logistics businesses will also be cited, the people said. Companies to be compared to the Uber Eats business might include Chicago-based GrubHub Inc., as well as international food-delivery services such as China’s Meituan Dianping, Germany’s Delivery Hero SE, Amsterdam-based TakeAway.com NV and Just Eat Plc in the U.K., said one of the people. Lyft Inc., which operates in the U.S. and Canada, will also serve as a point of comparison, the person said. But even with Lyft, as well as other companies, precise comparisons are difficult to peg because of Uber’s diverse business verticals, the person said. Uber may also want to distance itself from Lyft, which priced its shares at $72 each in its $2.34 billion IPO in March. The shares jumped 21 percent at the opening bell in their trading debut but have sunk since then, closing at $59.90 on Friday. The bankers will also tout the public company experience of Uber’s management team, which presented its business to bank analysts last month, one of the people said. Chief Executive Officer Dara Khosrowshahi came from Expedia Group Inc. in 2017. Chief Financial Officer Nelson Chai, a longtime banking executive who weathered the 2008 financial crisis at Bank of America, joined Uber last year. Uber lost $3.04 billion on an operating basis in 2018 on revenue of $11.3 billion, bringing total operating losses over the past three years to more than $10 billion, according to its filing with the U.S. Securities and Exchange Commission. Uber’s prospectus makes clear that its core ride-hailing business is leveling off. While ride-hailing revenue grew 95 percent in 2017 from the previous year, that rate slowed to 33 percent last year, according to the filing. If that sounds a bit like Amazon.com’s highway to success, it’s no accident.